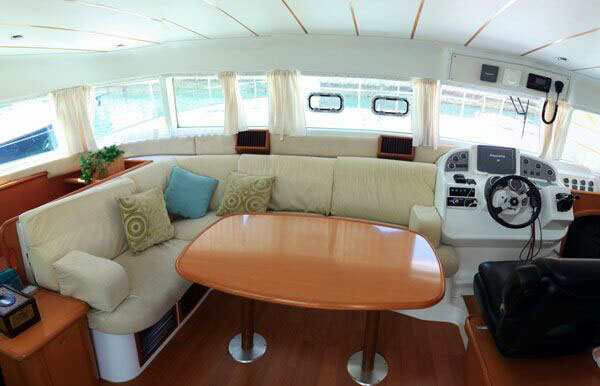 Graceful & elegant, this yacht is ideal for day charters, evening cruise, overnight or extended trips. 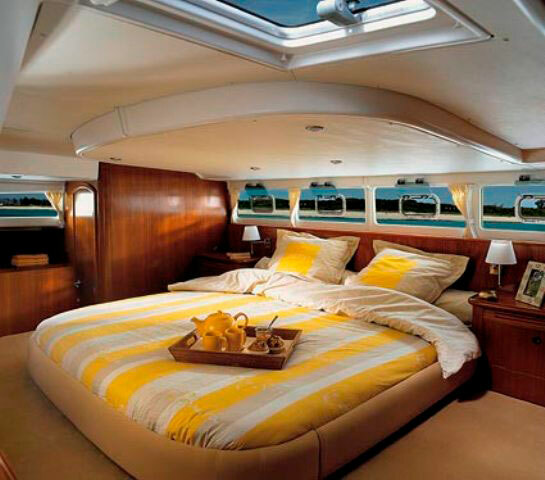 This yacht is fully equipped for short & long cruises. 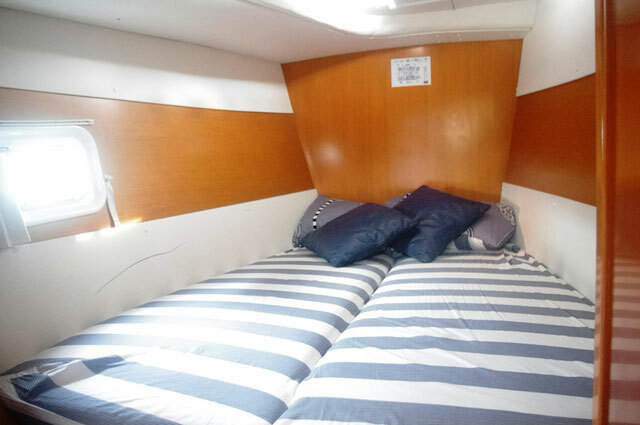 It can comfortably accommodate 30 guests for a day cruise or 6 guests overnight. 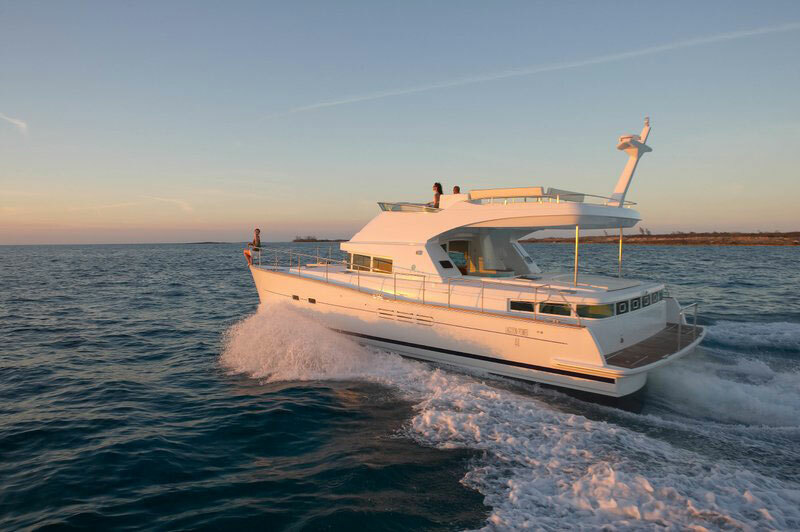 This Catamaran is designed to impress, to excite, to seduce, to titillate and to mesmerize even the most seasoned and demanding seafarer. Huge covered fly bridge on top deck, one level higher. 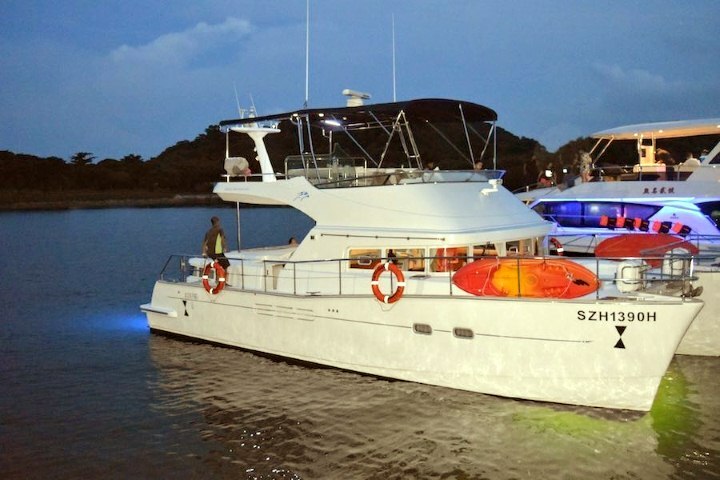 Fully covered entertainment indoor and outdoor at main deck, fully air-conditioned system. 2 single kayaks and fishing equipments. Kitchen with oven and microwave and 2 fridges for storage of food items. TV, AV system with iPOD output. Canapes starting at a value of $35 per pax. ALCOHOL must be consumed in a responsible manner. 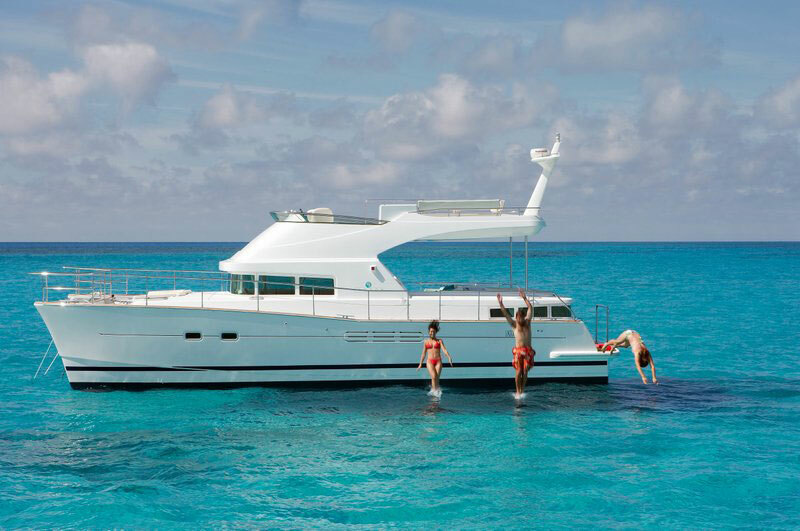 If the Skipper deems that any guests are behaving in a manner that compromises the safety of the guests and crew, or causes damage to the yacht due to excessive alcohol consumption, the yacht will immediately return to the dock and the charter will be curtailed. 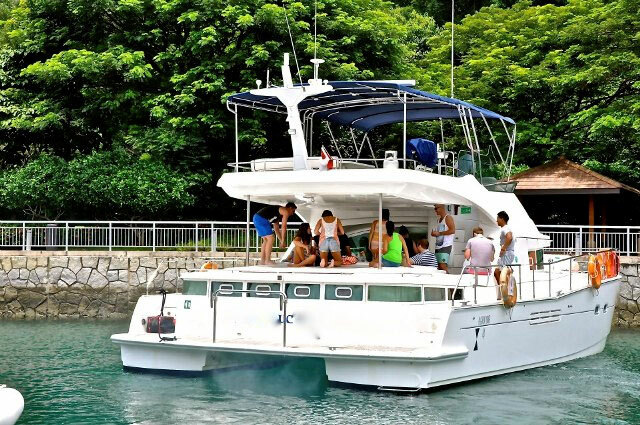 Short Charters: Rates include fuel, skipper and crew, use of all equipment on-board, including the BBQ Pit.